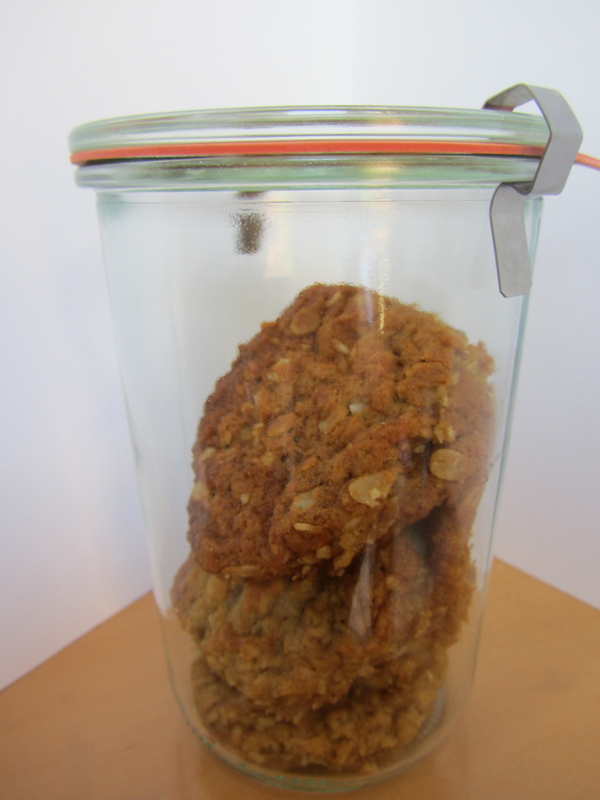 Anzac biscuits for Anzac Day! These are an antipodean staple – sent to the troops serving in the Anzac forces during the war because they were tasty, calorific and durable. 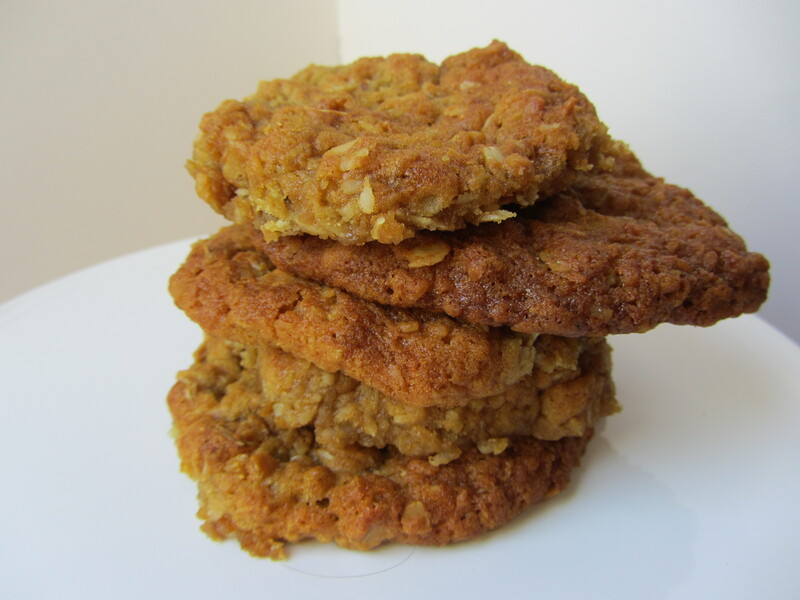 I’d equate them to a coconutty flapjack cookie, perfect as a knobbly addition to the biscuit tin! – Mix together the flour, oats, coconut, sugar and salt. – In a saucepan, melt together the dairy-free spread, golden syrup and boiling water. Bring to the boil. – Turn off the heat and stir in the bicarb. – Immediately pour into the dry ingredients and mix to form a soft dough. – Place ping pong ball sized balls of dough on the cookie sheets (spread well apart) and flatten slightly. – Cool briefly on the cookie sheets before transferring to a wire rack. This is my plan for tonight! I wanted to make these last night so they could be eaten on ANZAC Day but alas, it wasn’t to be. 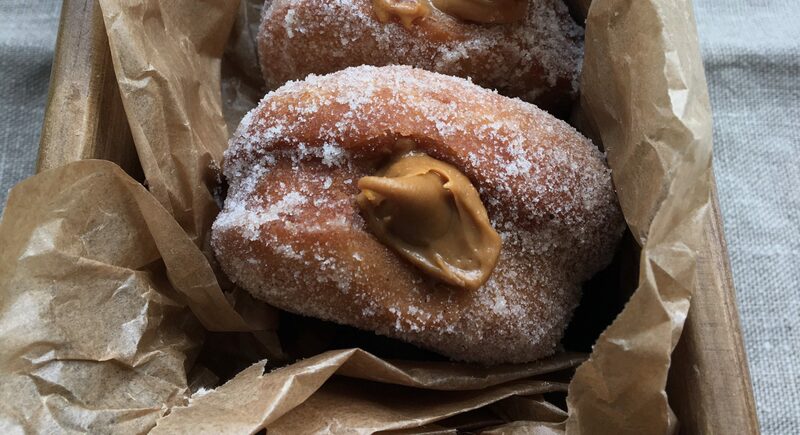 nice idea – i haven’t used coconut sugar, but it sounds intriguing!